In NSW, all greyhounds are required wear a muzzle when in a public area unless they have a gained a muzzle exemption. This applies to racing and pet greyhounds. Greenhounds do not have to wear a muzzle when in public whilst under the control of a responsible person but must wear a special “Greenhound collar” to identify them as muzzle exempt. 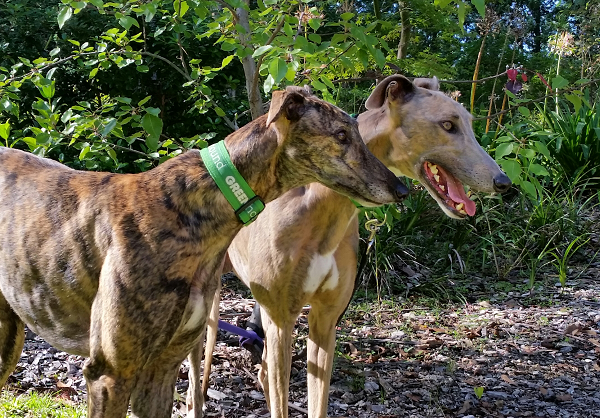 The Greenhound collar has been designed to be easily identifiable by the public and council staff and shows that a greyhound has earned the right to be muzzle free. All Greenhounds have successfully passed an approved re-training program, are microchipped, lifetime registered with council and de-sexed.